Have you ever estimated how much money your company can save with telematics technology? The implications of using a tracking solution goes beyond improving security and better monitoring employees. It is in fact more useful when organizations understand how the solution can gain true savings and return on investment (ROI). Along with tracking your employees, it is significantly important to measure your return on investment. Monitoring the location of your vehicles alone will not have a positive impact on your bottom line unless close attention is paid to the difference in time spent idling, number of repairs, negative driver behaviours and more. For some, the cost of the GPS solution has left fleet managers to avoid investing in tracking. 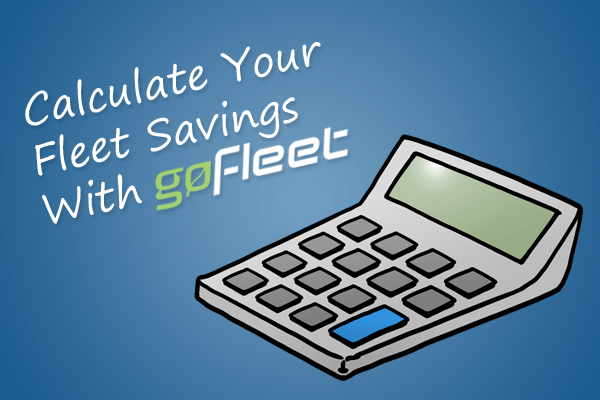 And to help quantify the value of our fleet solution, GoFleet has created a tool to help with your business decisions. 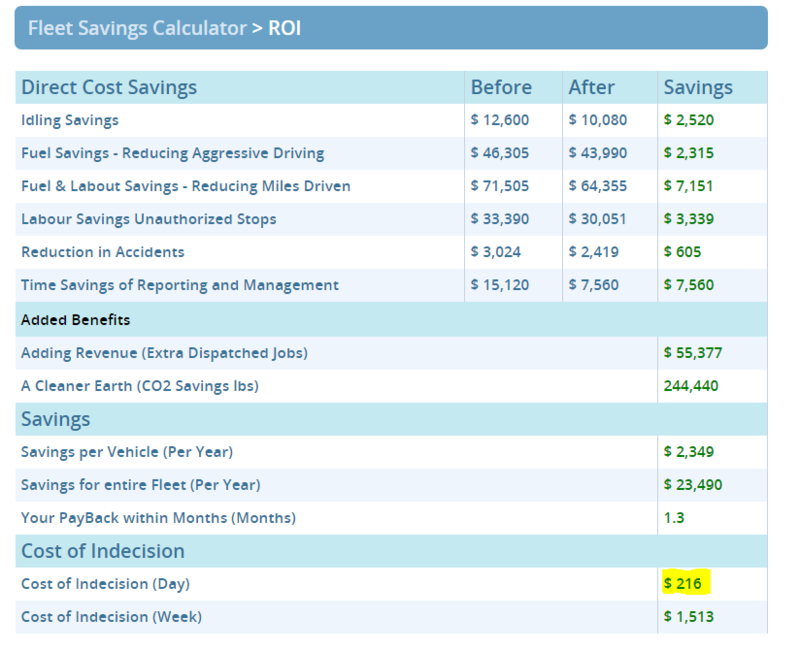 The ROI calculator is designed to give you an insight of expenses you could be be potentially saving and it can be customized to meet your business profile to show you how much money can be reinvested back into your company as shown in the example below. The calculator instantly shows you an estimate of what can be saved if fleet operation managers choose to implement a fleet tracking system. 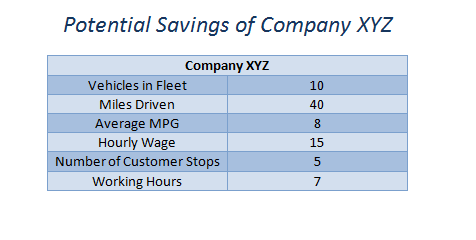 Although these figures are just estimates, there is a chance that companies can save even more when drivers become familiar with the solution and become more productive. To compliment the ROI calculator fleet managers should identify the areas that require improvement prior to installing the tracking solution. This can involve anything from increasing fuel expenses, higher maintenance costs or even decreasing productivity. Identifying the issues that need attention can then help outline the true purpose of the solution by comparing the “before” and “after” figures of cost savings. In any buying decision it is crucial to explore all your options, read customer reviews, and learn more about the costs involved in the daily operation of your business however it is more important to gain a ROI figure along with the final decision made.